In the Age of Grace, the Lord Jesus promised to His followers, “And if I go and prepare a place for you, I will come again, and receive you to Myself; that where I am, there you may be also” (Jhn 14:3). He also prophesied, “For as the lightning comes out of the east, and shines even to the west; so shall also the coming of the Son of man be” (Mat 24:27). 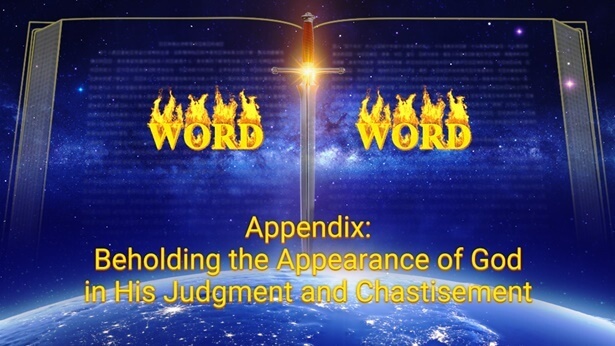 In the last days, as promised and foretold by Himself, God has again become flesh and descended to the East of the world—China—to do the work of judgment, chastisement, conquest, and salvation using the word, on the foundation of the redemption work of the Lord Jesus. In this, the prophecies of the Bible that “Judgment begins with the house of God” and “He that has an ear, let him hear what the Spirit says to the churches” have also been fulfilled. God’s work of the last days has ended the Age of Grace and ushered in the Age of Kingdom. As the gospel of the kingdom of Almighty God spread rapidly in Mainland China, The Church of Almighty God came into being. As proven by facts, The Church of Almighty God came into being entirely as a result of God’s work of the last days, and was not established by any man. This is because the chosen people in The Church of Almighty God pray in the name of Almighty God, obey His work, and accept all the truths expressed by Him. Thus it is evident that these chosen people believe in Christ who is incarnated in the last days, the practical God who is the Spirit realized in the flesh, instead of believing in a man. Outwardly, Almighty God is nothing more than an ordinary Son of man, but in substance He is the embodiment of God’s Spirit and is the truth, the way, and the life. His work and word are the direct expression of the Spirit of God and are the appearance of God in person. Therefore, He is the practical God who is incarnated. In 1991, Almighty God, Christ of the last days, began to officially perform His ministry in China. Then, He expressed millions of words and began the work of judgment of the great white throne in the last days. Just as Almighty God says, “The work of judgment is God’s own work, so it should naturally be done by God Himself; it cannot be done by man in His stead. Because judgment is the conquering of the human race through the truth, it is unquestionable that God still appears as the incarnate image to do this work among men. That is to say, in the last days, Christ shall use the truth to teach men around the earth and make all truths known to them. 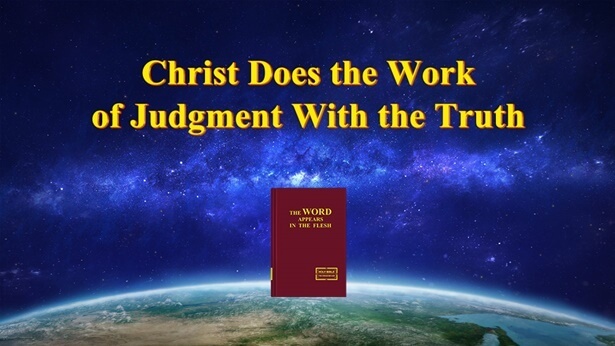 This is God’s work of judgment” (“Christ Does the Work of Judgment With the Truth” in The Word Appears in the Flesh). “God does the work of the word in the last days, and such words are that of the Holy Spirit, for God is the Holy Spirit and can also become flesh; therefore, the words of the Holy Spirit, as spoken of in the past, are the words of the incarnate God today. 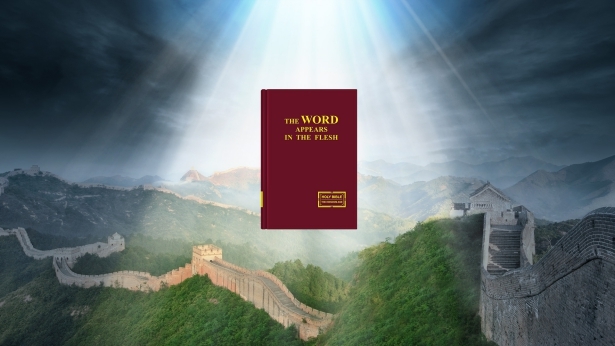 … For God to speak utterances to carry out work, He must become flesh, else His work cannot accomplish His goal” (“How Can Man Who Has Defined God in His Conceptions Receive the Revelations of God?” in The Word Appears in the Flesh). Because of the appearance and utterances of Christ of the last days, ever more people who thirst for and seek the truth have been conquered and purified by the word of Almighty God, and have seen in God’s judgment and chastisement the appearance of God and the return of the Redeemer. The Church of Almighty God came into being because of the appearance and work of Almighty God—the returned Lord Jesus—Christ of the last days, and also under His righteous judgment and chastisement. The church is comprised of all those who truly accept Almighty God’s work of the last days and are conquered and saved by God’s word. It was entirely founded by Almighty God personally, and is personally led and shepherded by Him, and it was by no means set up by any man. This is a fact acknowledged by all the chosen people in The Church of Almighty God. Whoever is used by God incarnate is predestined by God, and personally appointed and testified to by God, just as Jesus personally chose and appointed the twelve disciples. Those who are used by God only cooperate with His work, and cannot do God’s work in His stead. The church was not founded by those who are used by God, nor do God’s chosen people believe in or follow them. The churches of the Age of Grace were not set up by Paul and other apostles, but were the product of the work of the Lord Jesus and founded by the Lord Jesus Himself. Likewise, The Church of Almighty God in the last days has not been established by the man used by God, but is the product of the work of Almighty God. The man who is used by God only waters, supplies, and leads the churches, performing the duty of man. Although God’s chosen people are led, watered, and supplied by the man who is used by God, they believe in and follow none other than Almighty God, and accept and obey His words and work. This is a fact that no one can deny. Because of the appearance and work of God incarnate, many true believers of the Lord in all religious denominations have finally heard the voice of God, have seen that the Lord Jesus has already come and carried out the work of judgment in the last days, and they have all confirmed that Almighty God is the returned Lord Jesus—and as a result, they have accepted His work of the last days. All those who are conquered by the word of Almighty God become subject to His name. Therefore, all the chosen people of The Church of Almighty God pray to Almighty God, and follow, obey and worship Him. Having experienced God’s work of judgment and chastisement, the chosen people in China have come to appreciate His righteous disposition, and have seen His majesty and wrath, and so they have been completely conquered by God’s word and have fallen down before Almighty God, and are willing to obey and accept the judgment and chastisement of God’s word. Thus, they have gained God’s salvation. Precisely because the words expressed by Almighty God disclose the mysteries of God’s management plan to save mankind, God’s chosen people, in the disclosing of God’s words, come to understand that God has a new name in each age, and that His new name symbolizes that God is doing new work, and furthermore, that God is ending an old age and ushering in a new age. The meaning of God’s name is so great and profound! In it is contained the significance of God’s work. God uses names to change the age and represent His work of that age. In the Age of Law, He used the name of Jehovah to issue laws and commandments and lead the life of mankind on earth. In the Age of Grace, He used the name of Jesus to do the work of mankind’s redemption. With the arrival of the Age of Kingdom, He has used the name of Almighty God to carry out the work of judgment beginning with the house of God, to purify man, change man, and save man. God’s new name is not something He is arbitrarily called by man, but was taken by God Himself because of the needs of His work. The name God takes in each stage of work has its roots in the Bible, and the name that the Lord Jesus would take when He returned in the last days was long prophesied in the Book of Revelation: “Him that overcomes will I make a pillar in the temple of My God, and he shall go no more out: and I will write on him the name of My God, and the name of the city of My God, which is new Jerusalem, which comes down out of heaven from My God: and I will write on him My new name” (Rev 3:12). “I am Alpha and Omega, the Beginning and the Ending, said the Lord, which is, and which was, and which is to come, the Almighty” (Rev 1:8). “And I heard as it were the voice of a great multitude, and as the voice of many waters, and as the voice of mighty thunder, saying, Alleluia: for the Lord God Almighty reigns” (Rev 19:6). The name of Almighty God in the Age of Kingdom exactly fulfills the prophecies of the Book of Revelation. God is almighty, He created and rules over all things, and He is the First and the Last; it is most appropriate for us to call Him Almighty God. Thence, people have called the incarnate God Almighty God and have also called the incarnate Christ Practical God. And The Church of Almighty God is thus named. When the gospel of the kingdom spread in Mainland China, God reclaimed all the work of the Spirit throughout the universe and focused it upon this group of people who accepted God’s work of the last days, and upon those who were predestined and chosen by God and sincerely sought the true way. Because the work of the Holy Spirit was transferred, all denominations lost the work of the Holy Spirit and became a wasteland, leaving people with no choice but to seek the true way. This has exactly fulfilled the prophecy in the Bible, “Behold, the days come … that I will send a famine in the land, not a famine of bread, nor a thirst for water, but of hearing the words of Jehovah” (Amo 8:11). 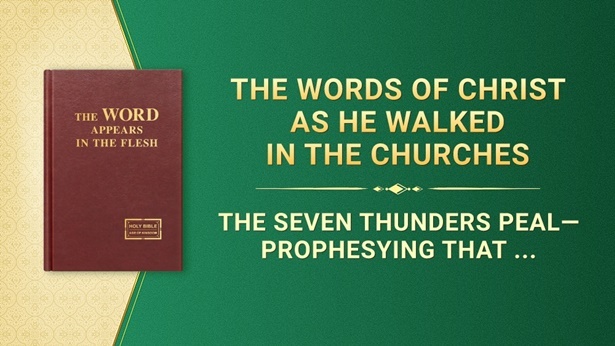 Under the guidance of the Holy Spirit, those in various denominations who pursued the truth and truly believed in God broke through the restrictions and hindrances of the antichrists and the wicked servants, and finally heard and recognized God’s voice, and more and more people returned before God’s throne. Everywhere there appeared pleasant scenes of all religions becoming one and all nations flowing to this mountain. As those in all denominations who truly believed in God returned in large numbers, most of the denominations collapsed and have long since existed in name only. Who could halt the footsteps of God’s work? Who could hinder God’s chosen people from returning to God? It was as if the entire religious community had been set straight. The stream of returning was like mightily surging waves. No force could stand in the way of God’s work! Since Almighty God appeared and His work began, the CCP government has been unceasing in its persecution of The Church of Almighty God. It has been feverishly hunting Christ of the last days and those who follow God and testify of God, and cruelly persecuting God’s chosen people, attempting to abolish God’s work of the last days. It has called numerous emergency meetings to scheme how to abolish The Church of Almighty God. It has drawn up and issued many secret documents and carried out various means that are base and diabolical: putting up notices everywhere, issuing public notices, using television, radio, newspapers, the Internet, and other media to wantonly fabricate rumors, slander and frame, defaming The Church of Almighty God; forcibly indoctrinating people with evil teachings and fallacies, and carrying out brainwashing and assimilation; making use of the Three-Self Church to oversee and control, sending spies to investigate openly and inquire secretly, employing grassroots control, ordering monitoring by neighbors, and encouraging people to file reports by promising a great reward; carrying out arbitrary searches of people’s homes, ransacking their houses and confiscating their property, extorting money through fines and accumulating wealth by unfair means; making secret arrests of God’s chosen people, detaining and imprisoning them in labor camps at will, extracting confessions through torture, ravaging body and mind, and beating people to death with impunity; even employing armed police and troops to suppress The Church of Almighty God; and so on. 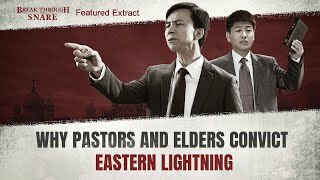 The CCP government has inhumanly arrested and persecuted the Christians of The Church of Almighty God—God’s chosen people, causing them to suffer the unscrupulous robbery of their property and physical and spiritual torment and affliction, and even causing many deaths. The government’s actions have been appalling. As documented, at least seventy Christians have been persecuted to death up to July 2018. For example: Xie Yongjiang (male, 43-year-old), a Christian in Wugou Town of Suixi County, Anhui Province, was secretly arrested by the local police in the early hours of April 30th, 1997 and fatally abused. On May 10th, when Xie’s family saw his body at the crematorium, he was black and purple all over and stained with blood, and had suffered several fatal wounds to his head. Ye Aizhong (male, 42-year-old), a Christian of Shuyang County, Jiangsu Province, was arrested by the CCP police on March 26th, 2012 while purchasing goods for the Church. On the third day, he was beaten to death. Jiang Guizhi, a Christian in Qinghe District of Pingyu County, Henan Province (female, 46-year-old, a senior leader of The Church of Almighty God at the time), was secretly arrested and imprisoned by the CCP police on January 4th, 2013 in Xinmi City, Henan Province. The police officers set up an illegal court and used torture to extract a confession. In the early morning of February 12th, Jiang died as a result of the physical abuse inflicted by the police… Beyond that, tens of thousands of other Christians have also been arrested and imprisoned by the CCP police. Some were injected with drugs and subsequently developed schizophrenia; some were so badly maimed by torture that they were left unable to take care of themselves; some were imprisoned in labor camps, and after their release, were monitored by the CCP government and deprived of their personal freedom. According to rough statistics, in the two short years from 2011 to 2013, 380,380 of God’s chosen people were arrested and detained by the CCP government in Mainland China. Among these people, 43,640 suffered all kinds of torture while under illegal interrogation; 111,740 had various charges imposed on them and were shamelessly fined or extorted more than 243,613,000 RMB; 35,330 had their homes ransacked, and at least 1,000,000,000 RMB (including offerings to the church and personal property) was forcibly and groundlessly confiscated by the public security organs and their subordinates or pocketed by police officers. 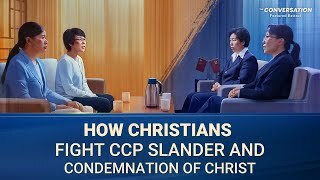 When it comes to the CCP government’s arrest and persecution of the Christians of The Church of Almighty God, these are rough statistics, and when it comes to all the Christians of The Church of Almighty God, they are just the tip of the iceberg. In fact, since Almighty God began His work, countless Christians of The Church of Almighty God have been arrested, persecuted, shadowed, or monitored by the CCP government. It used every cruel means to bloodily suppress The Church of Almighty God, turning Mainland China into a world of terror. In addition, the church was also slandered, condemned, and attacked by all denominations. This instantly led to widespread rumors and a storm of every manner of slander, abuse, and curses. The whole of society and the religious community were filled with all kinds of adverse publicity. Corrupt mankind’s resistance to the true God and persecution of the true way had reached its peak. “In the beginning was the Word, and the Word was with God, and the Word was God” (Jhn 1:1). In the beginning, God created the heavens and the earth and everything in them with the word, and led mankind with the word. In the last days, God also accomplishes everything with the word. The perfection of God’s chosen people and the realization of Christ’s kingdom will both be achieved by God’s word. 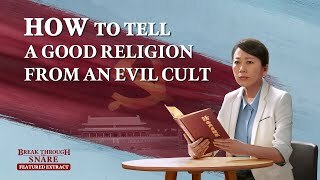 As such, there is nothing exceptional about how The Church of Almighty God originated from God’s work of the word, has developed under the guidance of Almighty God’s word, and, moreover, is growing despite the brutal suppression and persecution of the CCP government and the frantic condemnation and opposition of the forces of the antichrists in religious groups. This fully demonstrates the authority and power of God’s word. It can be said that, without the appearance and work of Almighty God, there would not be The Church of Almighty God, and that without the words expressed by God, so too would The Church of Almighty God not exist. Today, He is watering and feeding His chosen people with the millions of words He expresses, and all those who have accepted His work are enjoying the shepherding of His words and experiencing His work of saving man. Almighty God says, “Throughout the universe I am doing My work, and in the East, thunderous crashes issue forth endlessly, shaking all nations and denominations. It is My voice that has led all men into the present. I shall cause all men to be conquered by My voice, to fall into this stream, and submit before Me, for I have long since reclaimed My glory from all the earth and issued it forth anew in the East. Who does not long to see My glory? Who does not anxiously await My return? Who does not thirst for My reappearance? Who does not pine for My loveliness? Who would not come to the light? Who would not look upon the richness of Canaan? Who does not long for the return of the Redeemer? Who does not adore the Great Almighty? My voice shall spread throughout the earth; I wish, facing My chosen people, to speak more words to them. Like the mighty thunders that shake the mountains and rivers, I speak My words to the whole universe and to mankind. Hence the words in My mouth have become man’s treasure, and all men cherish My words. The lightning flashes from the East all the way to the West. My words are such that man is loath to give them up and at the same time finds them unfathomable, but rejoices in them all the more. Like a newborn infant, all men are glad and joyful, celebrating My coming. By means of My voice, I shall bring all men before Me. Thenceforth, I shall formally enter into the race of men so that they will come to worship Me. With the glory that I radiate and the words in My mouth, I shall make it such that all men come before Me and see that the lightning flashes from the East and that I have also descended unto the ‘Mount of Olives’ of the East. They will see that I have already long been on earth, no longer as the Son of the Jews but as the Lightning of the East. For I have long since been resurrected, and have departed from mankind’s midst, and then reappeared with glory among men. I am He who was worshiped countless ages before now, and I am also the infant forsaken by the Israelites countless ages before now. Moreover, I am the all-glorious Almighty God of the present age! Let all come before My throne and see My glorious countenance, hear My voice, and look upon My deeds. This is the entirety of My will; it is the end and the climax of My plan, as well as the purpose of My management. Let every nation worship Me, every tongue acknowledge Me, every man repose his faith in Me, and every people be subject unto Me!” (“The Seven Thunders Peal—Prophesying That the Gospel of the Kingdom Shall Spread Throughout the Universe” in The Word Appears in the Flesh). God’s chosen people have received the great salvation because of Almighty God’s word. God’s work in Mainland China has finally ended in glory. Now God’s chosen people are spreading His word and testifying His deeds to every country and place. God’s word will be spread throughout the whole world, and He will soon appear publicly to all nations and all peoples. The people of every country and place who long for God’s appearance would never have dreamt that the God for whom they long to publicly appear has already secretly descended to China and carried out a stage of the work of conquest and salvation. As I turn My face to the universe to speak, all mankind hears My voice, and thereupon sees all the works I have wrought throughout the universe. Those who go contrary to My will, that is to say, who oppose Me with the deeds of man, will fall down under My chastisement. I will take the multitudinous stars in the heavens and make them anew, and thanks to Me the sun and the moon will be renewed—the skies will no longer be as they were; the myriad things on the earth will be renewed. All will become complete through My words. The many nations within the universe will be partitioned afresh and replaced by My nation, so that the nations upon the earth will disappear forever and become a nation that worships Me; all the nations of the earth will be destroyed, and will cease to exist. Of the human beings within the universe, all those belonging to the devil will be exterminated; all who worship Satan will be laid low by My burning fire—that is, except for those now within the stream, the rest will be turned to ashes. When I chastise the many peoples, those in the religious world will, in differing degrees, return to My kingdom, conquered by My works, because they will have seen the advent of the Holy One riding on a white cloud. All of humanity will follow their own kind, and will receive chastisements varying with what they have done. Those who have stood against Me will all perish; as for those whose deeds on the earth have not involved Me, they will, because of how they have acquitted themselves, continue to exist on the earth under the governance of My sons and My people. I will reveal Myself to the myriad peoples and the myriad nations, sounding forth with My own voice upon the earth to proclaim the completion of My great work for all mankind to see with their own eyes” (“The Twenty-sixth Utterance” of God’s Utterances to the Entire Universe in The Word Appears in the Flesh). In the history of mankind, we see how all evil forces that flagrantly oppose God and frantically resist God are destroyed by God. Four thousand years ago, as a result of their grievous sins, the cities of Sodom and Gomorrah were scorched by the fire and brimstone that God sent from heaven. So, too, was the Roman Empire destroyed by the disasters from God due to its resistance and condemnation of the Lord Jesus and its persecution of the Christians. In the last days, any evil force that condemns and resists God will be cursed by God and surely destroyed by Him. This is precisely the righteous disposition of God! Almighty God says, “The kingdom is expanding in humanity’s midst, it is forming in humanity’s midst, it is standing up in humanity’s midst; there is no force that can destroy My kingdom. … You will surely, under the guidance of My light, break through the stranglehold of the forces of darkness. You will surely not, in the midst of darkness, lose the light guiding you. You will surely be the master of all creation. You will surely be an overcomer before Satan. You will surely, at the downfall of the kingdom of the great red dragon, stand up amid the myriad throngs to bear witness to My victory. You will surely be resolute and unwavering in the land of Sinim. Through the sufferings you endure, you will inherit the blessing that comes from Me, and will surely radiate My glory throughout the entire universe” (“The Nineteenth Utterance” of God’s Utterances to the Entire Universe in The Word Appears in the Flesh). “When the three stages of work come to an end, there will be made a group of those who bear testimony to God, a group of those who know God. These people will all know God and will be able to put the truth into practice. They will possess humanity and sense, and will all know the three stages of God’s work of salvation. This is the work that will be accomplished at the end, and these people are the crystallization of the work of 6,000 years of management, and are the most powerful testimony to the ultimate defeat of Satan. Those who can bear testimony to God will be able to receive God’s promise and blessing, and will be the group that remains at the very end, which possesses the authority of God and bears testimony to God. Perhaps those among you can all become a member of this group, or perhaps only half, or only a few—it depends on your will and your pursuit” (“Knowing the Three Stages of God’s Work Is the Path to Knowing God” in The Word Appears in the Flesh). God’s word shall be accomplished, and that which is accomplished shall last forever. The future of the kingdom is bright and splendid! Almighty God has already made a group of overcomers in Mainland China. God’s work of the last days has already been accomplished! Now, the pilot work done by God during His hidden advent in China has ended in glory, and He will soon appear publicly to all the nations and places. The chosen people of The Church of Almighty God are a group of overcomers whom God has made in China. Shouldering the holy mission, they are testifying to God’s work and proclaiming God’s holy name to all nations and places. The gospel of the kingdom of Almighty God is rapidly spreading across the world. The Word Appears in the Flesh is freely available on the Internet for all nations and places to seek out and investigate. No one dares to deny that they are the words of God, and no one dares to deny that they are the truth. More and more people who thirst for the truth and yearn for the light are seeking out and investigating Almighty God’s work of the last days. The Church of Almighty God has been established in dozens of major countries and regions all over the world as more and more people return to Almighty God. Mankind is gradually awakening amid the word of God, and has begun to accept and know the truth. God’s word will lead all mankind and accomplish everything. All the people who truly believe in God and seek the true way will surely return to God and become obedient before His throne, and the whole of mankind will know that God has come, and has appeared, and that His name will surely be great among all mankind. China is the land where the great red dragon resides, and is the place that has resisted and condemned God most severely throughout history. In 1995, the work of testifying to the kingdom gospel of Almighty God formally began in Mainland China. 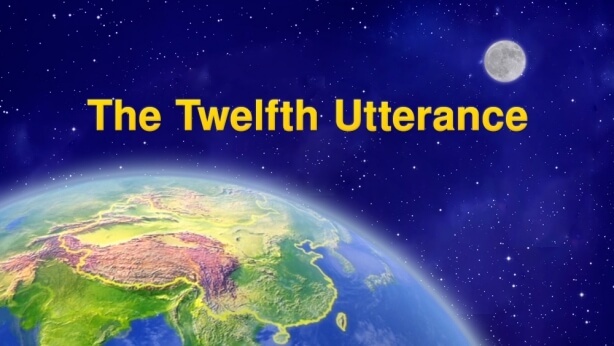 What’s the Origin of Eastern Lightning? How Did The Church of Almighty God Come Into Existence? What Are the Aims of The Church of Almighty God? 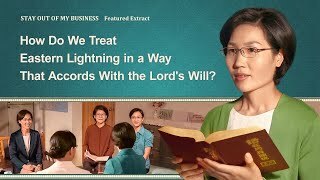 Movie Clip (1) - How Do We Treat Eastern Lightning in a Way That Accords With the Lord's Will? 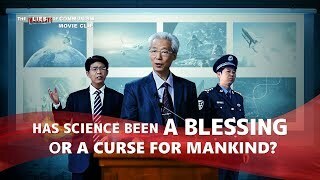 (2) - The CCP Uses Science to Deny God's Rule: Is This a Blessing or a Curse?